The Yanaka neighbourhood is one of the most cozy in Tokyo with its small alleys, cats and temples. This exquisite environment brought with it another inhabitant that we can identify as the hipster. 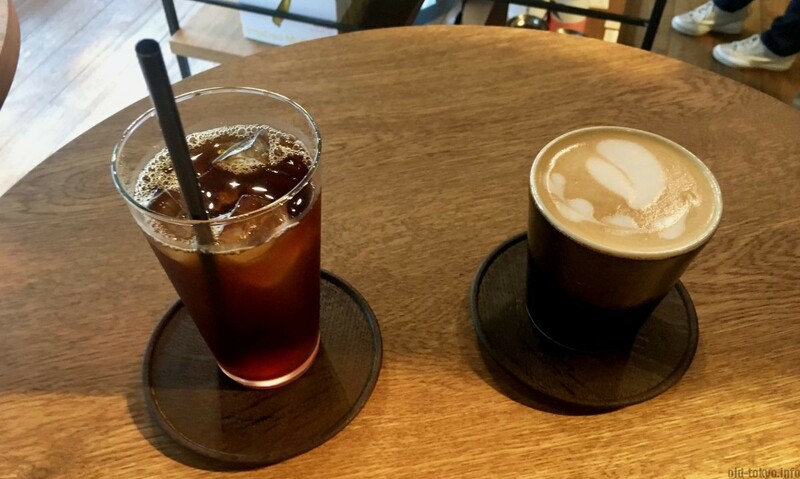 Many of the cafes are more on the posh side such as Kayaba coffee and Hagiso cafe. Another example is the tokyobike Yanaka rental store. Tokyobike is foremost a bike rental shop, with some items thrown in to help you on your cycling journey. They have various direct stores all over Tokyo and their merchandise can be found all over Japan. 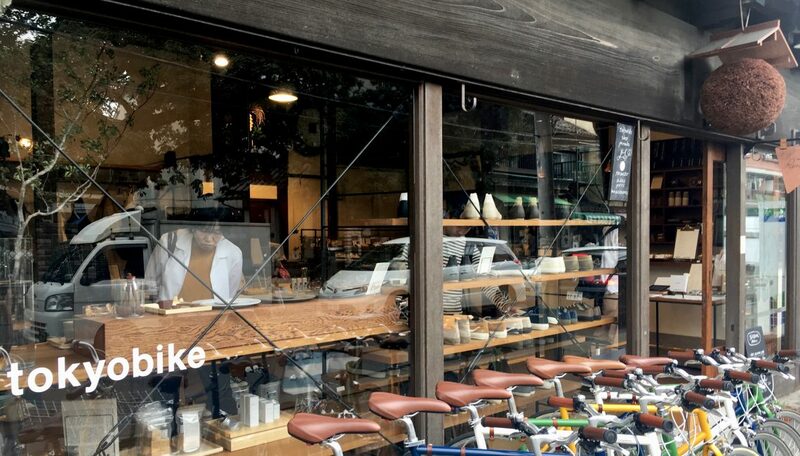 They started with cafes as well, of which the one in Yanaka is sort of the flagship store. 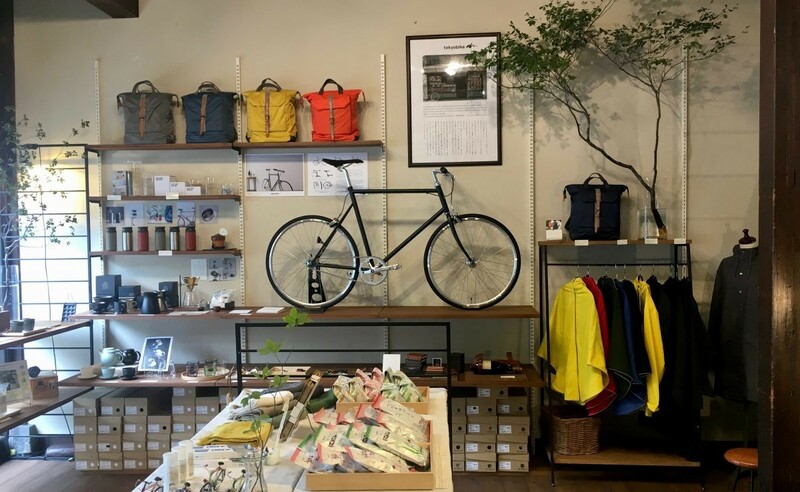 It is difficult to walk past this shop in Yanaka as it stands out on the street with its beautiful wooden store front, including a sugidama (on the right hand side of the photo at the top of this article) and of course a lot of bikes. The sugidama indicates that it is/was a sake store, and indeed, they transformed and old sake store and kept several of the original elements of the place. This shop was originally the Isego liquor store that was established in 1706. The current building was built at the start of the Showa period (1926-1989) and feels old and traditional. The Isego store is now located nearby in Sendagi and also has a store in Nakameguro. It is great to see they kept the traditional feel of the building, including the sake related items as this sugidama right over the entrance. A sugidama is a cedar ball and was originally a symbol for a Japanese sake brewery. It was hung at the entrance of the brewery with green leaves when the new sake was brewed. Then it gradually turned brown and it would inform the customers of the age of the sake on sale. In older neighbourhoods you can still see this sugidama hanging outside of certain shops, it now usually means that it is a sake store/bar. Inside of the shop you see on the right hand side a plaque and a mirror. 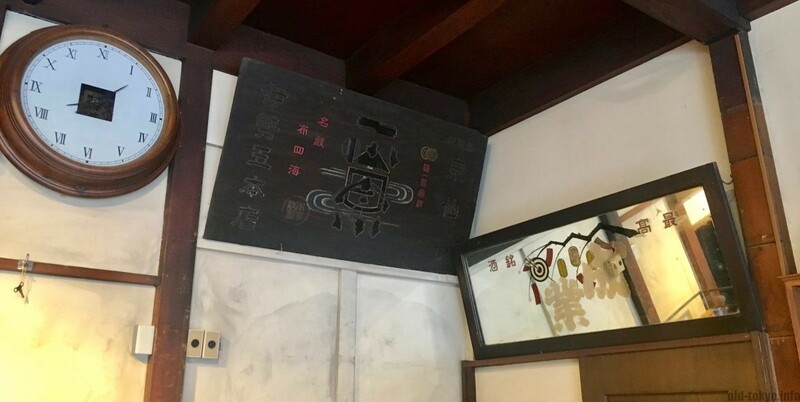 The plaque has the crest of the store and includes the words Isego Honten (伊勢五本店), the original name of the store. On the mirror it says in big characters seigyō/jōgō (成業) and signifies an achievement for its sake. These are not the only elements they kept, when visiting the store “look up” and you’ll see several other surprises. It might seem as a strange combination of elements at this store, but it all makes sense. The idea is that you start your day here with a coffee while selecting your bike and planning your trip for the day. After you come back, you can have a nice sake in order to celebrate your cycling achievements. The Yanaka neighbourhood is great to explore by bike, so it is a good combination indeed. Bike rental with same day return was JPY 3000 at the time of my visit (Autumn 2017).